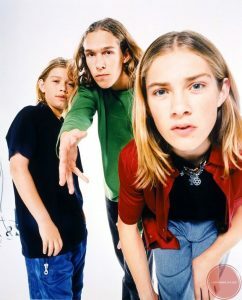 Last week I entered the mysterious world of Hanson fans. Two middle-aged women fans met in the waiting room and with the shining faces of true believers were talking of their love for the band while waiting for the train. 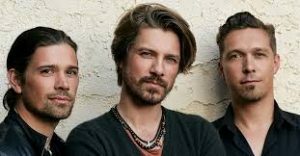 That was how I learnt (1) that Hanson the band (MMMBop – yes that Hanson) were still playing after 25 years and (2) that they were playing two sell out gigs at the Zoo after playing a sellout gig at the St Kilda Palais. “I’m going to all their shows and next week I’m following them to Sydney to see all their shows there,” says the middle-aged woman in the brown floral dress. “Is it a competition or do you pay to go?” I ask. “Oh I paid. Last year I went. It was awesome”. “I took my mother,” says brown floral dress. “And do they still look as wonderful as they did back in the nineties?” I ask thinking of the bands I used to follow and how they have aged. There are so many other realities out there and when you brush against them and try to imagine living in them the world gets bigger and stranger.